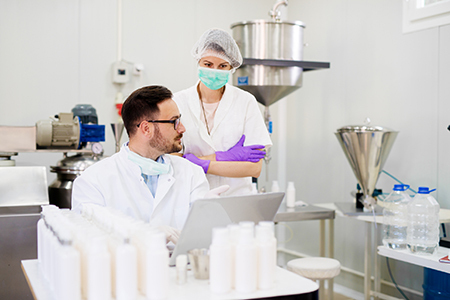 When a pharmaceutical company is looking to outsource manufacturing, analytical testing, packaging, or supply chain functions to a CDMO, they come in with a long list of testing requirements, manufacturing specifications, timetables, pricing, and other business concerns. In the background, though, is the fundamental requirement that the CDMO maintains an operating environment sufficiently controlled to formulate, manufacture, test, package, store, and ship drugs that will be for human use. Microbiological contamination is at the top of the CDMO threat list and controlling it is the responsibility of trained, professional microbiologists. Every CDMO should be completing environmental monitoring to comply with the applicable government regulations. The microbiology function is responsible for ensuring compliance with USP <61>, <62>, and <71> testing, the regulations that focus on bioburden and sterility of the products manufactured. Microbiologists at a CDMO monitor for contaminants in the environment where our customers' products are handled. Routine contact plating, viable air and non-viable sampling of the classified areas must be performed to comply with regulations. No environment where humans are present is entirely sterile, but we strive to have a controlled environment in critical manufacturing areas. The trending data is important to demonstrate a manufacturing area is under control for microbial growth. We gather trending data quarterly; we monitor each room for three months and then generate graphs showing the growth levels for the quarter. A prospective client's QA department will be interested in that trending, especially for rooms or areas where their product(s) will be handled. The client would be justified in asking about the relevant alert and action levels for contamination, and how far below those levels the CDMO has kept its facility. They may ask to see any records of investigations for out-of-level contamination and what was done about it. Clients want to see clearly defined procedures — how surfaces are sanitized, where in the facility people can go in their street clothes, where they must glove and gown, and how they go about gowning. It is reasonable for the client to want to see the CDMO's sanitization SOP that lays out how, and how often, the facilities are sanitized. Client concerns about microbiology tend to be focused on sanitizing work areas. They want to see a fully documented sanitizing procedure, particularly for the manufacturing suites. Manufacturing sanitation practices are not solely the responsibility of the microbiologist. There is a role in it for virtually everyone in the organization, and everyone is required to be familiar with the relevant SOPs and the part they play in fulfilling the requirements. All the CDMO's employees should be trained to fulfill their documented responsibilities to minimize contamination throughout the facility. A CDMO should provide Client access to environmental trending data along with the incidence of out-of-level results. Clients want to know specifics about microbial growth within the facility— if you frequently find colonies of a particular organism, the client will want to know what the organism is and the potential impact. Again, while no environment where humans work is sterile, they want those microbial incidence levels to be low. Not surprisingly, the most commonly found contaminants are from humans, such as skin cells or organisms common to humans. Eliminating human interaction, especially where the product is manufactured, lowers the risk of potential contamination. The CDMO should be able to offer an agreement that sets incidence limits, specifies reporting if those limits are exceeded, and details how contamination incidents will be investigated and remedied.